We’ll get right to the point. Electricity is one of the greatest inventions in the modern world and makes life easier for everyone. But we often take electricity for granted and forget to respect the potential dangers associated with electrical use in our homes. Did you know that each day, nearly 7 children are treated in hospital emergency rooms for electrical shock or burn injuries caused by tampering with a wall outlet1? Did you know that more than 30,000 non-fatal shock accidents occur each year1? Those are just the incidents that are documented. The number may be higher. The numbers are, well, shocking. The solution is an electrical audit of your home to be certain that all outlets are Tamper-Resistant, all outlets near a water source are Ground Fault Circuit Interrupter (GFCI) outlets and all outlets in living space such as bedrooms, living rooms and dens are Arc-Fault Circuit Interrupter (AFCI) outlets. Why? Tamper-Resistant Outlets have a shutter mechanism inside that prevents most foreign objects such as paper clips and hair pins from being inserted. This helps protect against electrical shock. Since many outlets are low to the floor you can see how attractive they are to curious children – hence the importance of Tamper-Resistant. 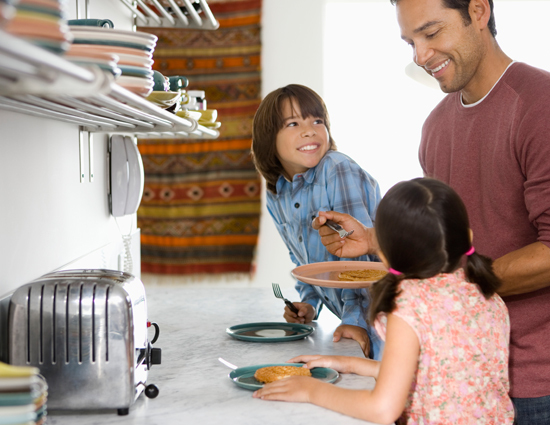 GFCI outlets are designed to help prevent people from receiving dangerous shocks caused by ground faults. When a ground fault occurs and electricity from an appliance or other product passes through the person’s body, the resulting shock can cause serious injury or even death. GFCIs have special circuitry built into them and if it detects a ground fault, IT SHUTS OFF POWER AT THE GFCI IN A FRACTION OF A SECOND, to help prevent serious injury. 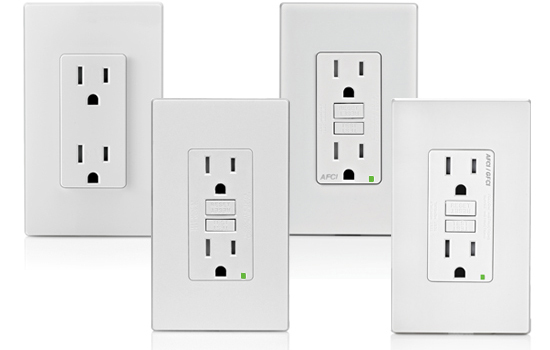 AFCI outlets help reduce the likelihood of the home's electrical system from being an ignition source of a fire by recognizing many types of potentially hazardous arc-faults and responding by interrupting power. Arcing creates high intensity heat (may exceed 10,000 degrees Fahrenheit) resulting in burning particles that may over time ignite surrounding material such as wood framing or insulation. Often unseen, arc-faults can occur anywhere in the home's electrical system including within walls, at loose electrical connections or within electrical cords accidently damaged by furniture resting on them. Newer to the market are Dual Function AFCI/GFCI Outlets. As the name implies, these outlets helps protect your home and family from both arc-faults (AFCI) and from ground faults (GFCI) by working to detect these hazards. If detected, the device quickly cuts off power to help avoid a potential fire or shock occurrence. In particular, older homes often lack TR, GFCI and AFCI outlets. Conduct your home electrical audit today and take action. Don’t let any member of your household become a statistic.